Yakuza is the Japanese analog of the mafia. It is an organized crime gang which has its own structure, leaders and code of honor. The 1980s were the years of Yakuza's heyday. 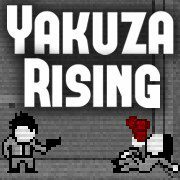 Lead a Yakuza ninja through the city and kill all enemies on your way. You have a gun with limited ammo and your faithful katana sword – can you destroy 'em all?